The picture of the Buck was taken Sunday night 7/5/2012. For this test, the camera was set at 1 p.m. in an area that doesn’t get deer traffic to see how long it took to draw the deer with my new water soluble deer attractant that combines our proprietary scent/flavor additives and SEA-90 Wildlife Mineral. Nothing else was added. We cleared the vegetation and dumped the liquid mixture on the ground. The scent draws the deer to the location, and the flavor combined with SEA-90 Wildlife Mineral provides deer with every mineral required plus some. 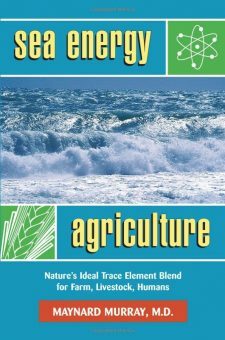 SEA-90 has more minerals and trace elements than anything else we’ve tried. It is also the only product that is 100% biologically available since it rapidly dissolves in water. The distance at which you can smell the mixture is incredible. All the deer came from downwind plus an old rock quarry forces their movement 120 yards from this spot so I know the scent is the long-distance draw. I have been trying this mix for the past year and have hundreds of pictures. I have pictures of deer in massive holes that were dug as well as pictures of several deer that have come in and laid down next to the hole and stayed for hours randomly licking at the earth. I have pictures of deer standing on hind legs eating the mix off branches where I sprinkled it on. The picture shows how aggressively the deer pursue this blend of Sea-90 Wildlife mineral and our proprietary scent/flavor mix. To show how aggressively the deer searched for the mineral mix, I placed a gallon jug at the bottom of the hole that was created in less than four weeks. 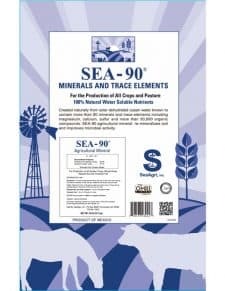 I also tested SEA-90 Wildlife Mineral side by side against just about every similar product available and SEA-90 Wildlife Mineral plus our proprietary scent/flavor additives out-performs everything!